Ornaments, for the entirety of the holiday season, for the entirety of my life, ornaments have held one of three sentimental heartstrings that I've carried. While I was attempting to inspire myself back in August (us bloggeroids need to get prepped as soon as humanly possible) I found clay ornaments that were of the type I'd want to buy. They were from the ever so evil, Free People, but I knew, based on my childhood fimo crafting skills that mimicking their creations would be minimal effort at best, a bit of clay, a bit of gold paint, and a 20 second braid deal. It took me about three days, spread over a week of procrastonation, to get the project from start to finish, but it turned out to be the most loving gift I could create, and alloted me much needed time away from the computer to create each creation. I also made other oranments I didn't photograph, a mama and baby whale for my mum (she had a dream of her and I in that form before my birth), an Oast House for my dad (where he lives), my own version of Stockwell's Priory Arms for my brother-in-law, and a Snail Rose for my bro + sister in law. The rest were similar verisons of what you see here, invididualized for each friend and family member, and in many cases, adorned with the ring I used as a stamp form Stockholm Rose Designs. 1. 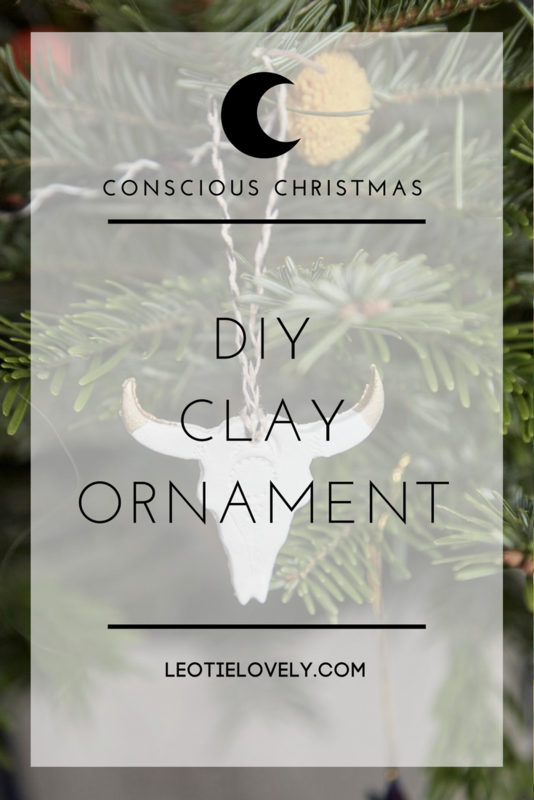 Roll the clay out and cut out the shapes using cookie cutters, or a knife. I was lazy and pressed for time and I had ordered these for numerous other projects. I also have friends of the Jewish faith and other faiths as well, so I wanted items that were non-christmasy and items that if desired, could decorate in the non-holiday season as well. 2. Once you've got every speck of clay cut out, use the bits that remain to create small circles, you can paint on these as well, using the gold leafing paint or other paint, whatever you have. 3. 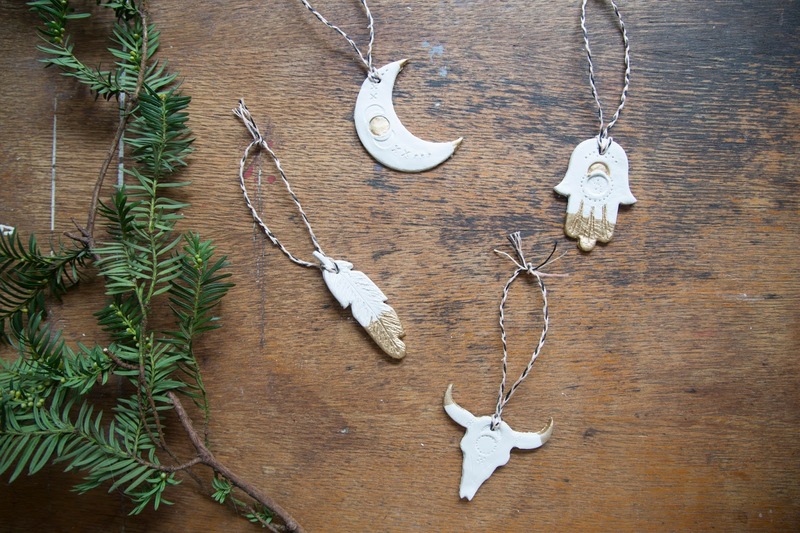 Decorate the clay using either a knife, or if you have it, something pokey. I've got a puncturing tool that I use to make my bags, but you can totally get by with a knife if you don't have a 'puncturing tool' as well. 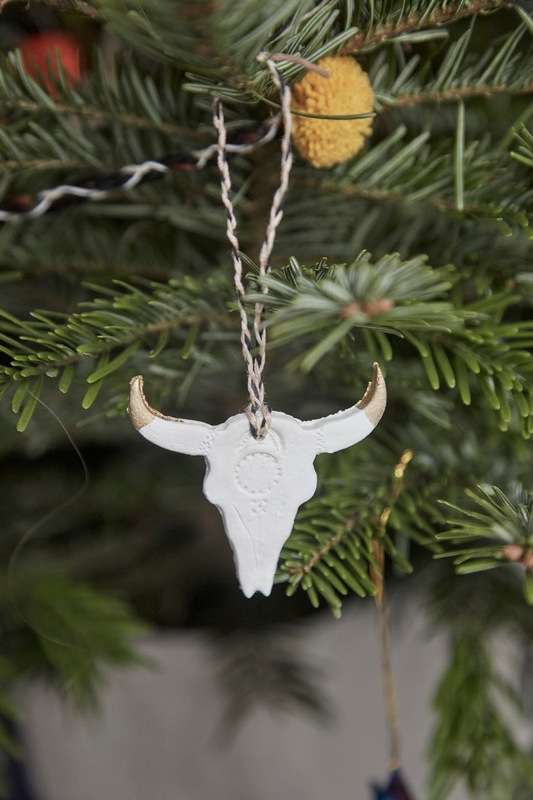 Make sure you make a hole so you can string thread through the ornaments for hanging. 4. Once the clay dries, or you bake it, paint it with gold leafing paint or whatever paint you have on hand. 5. Once the paint dries, braid or just thread through single strong threads so the ornaments can be hanged.